Published January 22, 2017 at 421 × 600 in Carol Smeraldo. Carol Smeraldo. 2011. 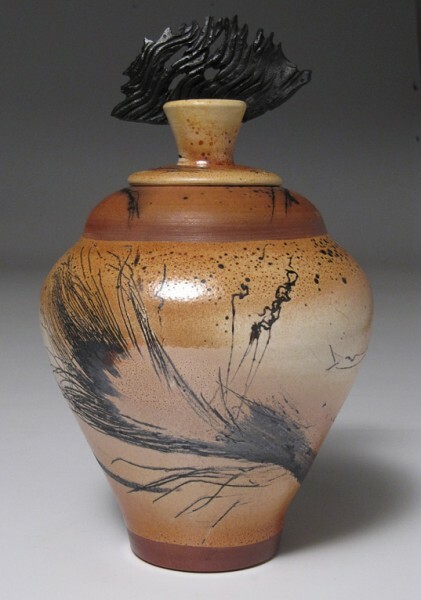 Raku Vase. Horsehair carbon painted, black porcelain finial, 27.3 x 16.5cm.